This life-changing class taught on video by Dave Ramsey and the FPU teaching team will help you achieve your financial goals by showing you how to eliminate debt, save for the future, and give like never before. You will be challenged and motivated to make a plan for your money and change your family tree forever. The class is available for $119 per household/kit. 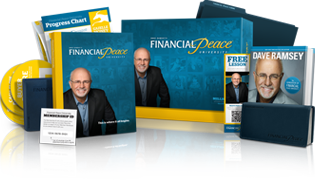 Watch a preview of a Financial Peace University class. The Legacy Journey, Dave’s six-lesson course on building wealth, planning for the future, and setting future generations up for success. This 9-week class begins Wednesday, September 12 and meets from 6:00-7:30pm.